Milk is considered a priority food allergen by Health Canada. Priority food allergens are the foods that cause the majority of allergic reactions. Milk allergy is caused by a reaction to the protein in cow’s milk. The protein in cow’s milk is very similar to those found in milk from goats, sheep, and other mammals like deer and buffalo. Individuals allergic to cow’s milk will likely experience reactions to other types of milk. Some people with milk allergy can consume extensively heated/baked products that contain milk (with the product completely cooked throughout). If you or your child has a milk allergy, please speak to your allergist before consuming any baked products containing milk. Many children with a milk allergy may outgrow the allergy within a few years. For others, a milk allergy can be a lifelong condition. If your child has an milk allergy, consult your allergist before reintroducing your child to milk products. A milk allergy is different than a milk (or lactose) intolerance. Unlike people with lactose intolerance, individuals with milk allergy have an immune system that reacts abnormally to milk proteins and it can be life-threatening. 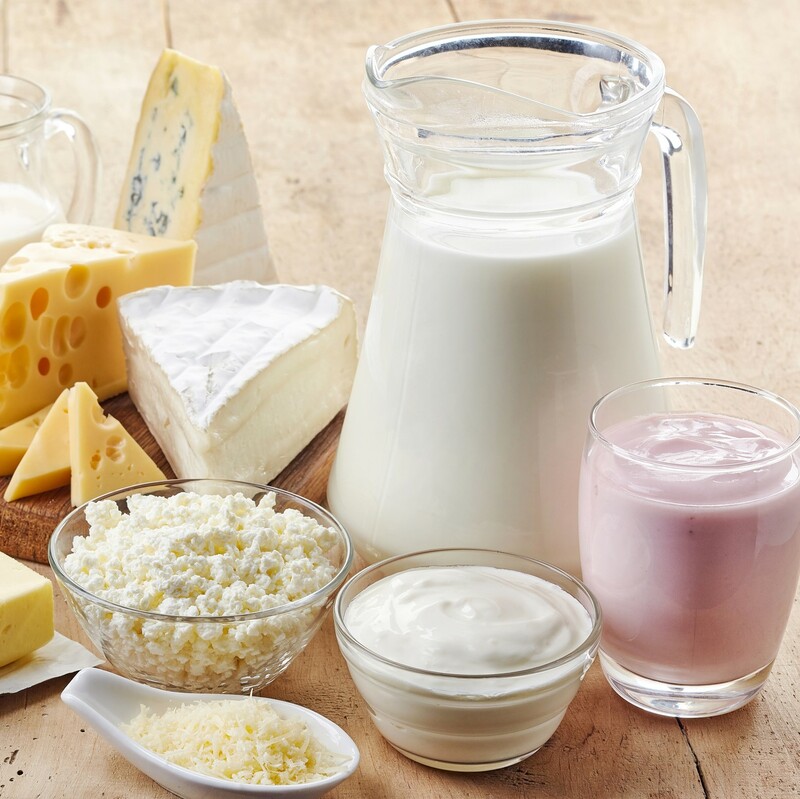 Lactose intolerance occurs when a person cannot digest lactose, a component of milk, because their body does not produce enough of a specific enzyme that breaks down lactose. Symptoms of lactose intolerance include abdominal pain, bloating, and diarrhea after milk ingestion. Lactose intolerance is not an allergy and is not life-threatening. If you are unsure whether you have a milk allergy or lactose intolerance, please talk to your doctor. If you are managing lactose intolerance, visit this Dietitians of Canada web page. Read ingredient labels every time you buy or eat a product. If the label indicates that a product “Contains” or “may contain” milk, do not eat it. If you do not recognize an ingredient, if there is no ingredient list available, or if you don’t understand the language written on the packaging, avoid the product. Watch for cross-contamination, which is when a small amount of a food allergen (e.g., milk) gets into another food accidentally, or when it’s present in saliva, on a surface, or on an object. This small amount of an allergen could cause an allergic reaction.